Algebra is a foundational concept in the study of mathematics, and readers will delight in learning the principles of operations and algebraic thinking in a relatable and engaging way. Topics such as adding and subtracting within 20, using algebraic principles to solve equations and word problems, and understanding the relationship between addition and subtraction will give beginning math students a firm grasp on basic math concepts. Aiden loves the aquarium, especially when he can use his favorite aquatic animals to practice adding within 20. 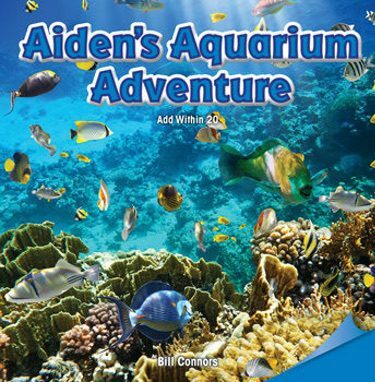 Readers will be encouraged to add with Aiden as he explores the aquarium. This volume satisfies CCSS Math Standard 1.OA.C.6. This book should be paired with "A Trip to the Aquarium" (9781477720615) from the Rosen Math Readers Program to provide the alternative point of view on the same topic.